Jay Inslee will take on Trump, but he’s scared of Sawant? Jay Inslee loves headlines about how he’s “taking on” President Trump, or “fighting back,” or just generally being a Scrappy-Doo to the Trump White House’s Guy Pretending to Be Ghost. He loves these headlines because they’re cheap and easy, and because Inslee is supposedly considering a presidential run. 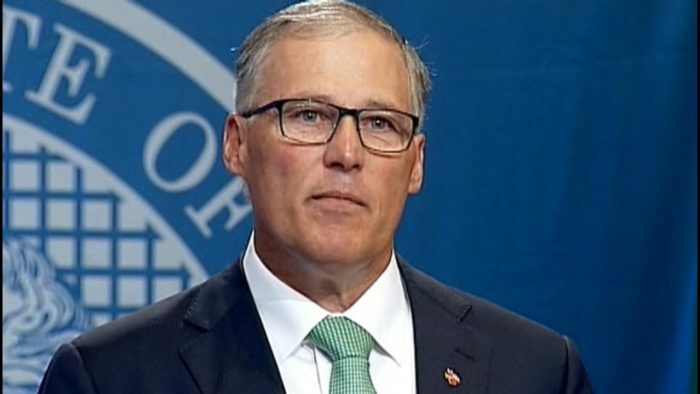 OK, let’s realistically edit that: Inslee is supposedly considering a presidential run in hopes of landing the vice presidential nod. Now that would be Veep come to life. 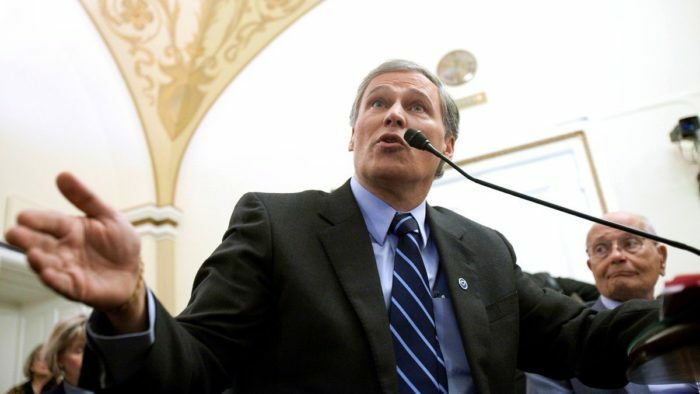 Inslee stayed in his wheelhouse this week, publicly pushing back on President Trump’s anti-Amazon tweets…and, on substance, we can’t disagree (the Postal Service, after all, should be thanking its lucky stars for Amazon). No, the problem is that Inslee is looking for these kinds of fights because for him, (getting noticed for) challenging Trump costs him nothing. 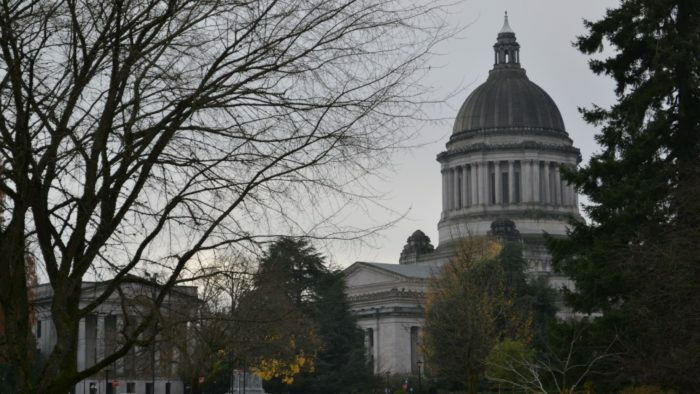 In terms of political capital, there’s essentially no downside for Inslee, no price to be paid. But Jay Inslee doesn’t have to “go national” to take on enemies of Amazon – they’re all around him. Local officials and activists have said far more incendiary things about the company and raised more outlandish ideas than Trump. 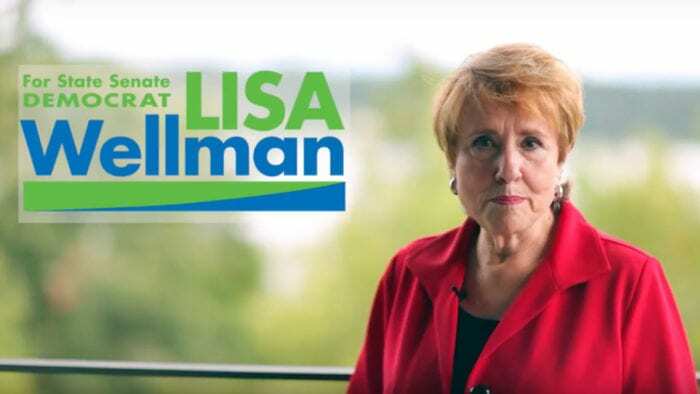 Why isn’t Inslee “fighting back” against them? Inslee the Great Amazon Defender needn’t look very far for more Prime Foes to slay. Seattle’s City Council continues to push a “head tax” on successful Seattle businesses like Amazon, despite the company’s overwhelmingly positive contribution to the city. Some thanks. Most everyone acknowledges the city’s high taxes, heaps of regulations, and hostile political climate contributed to Amazon seeking to build “HQ2” elsewhere. 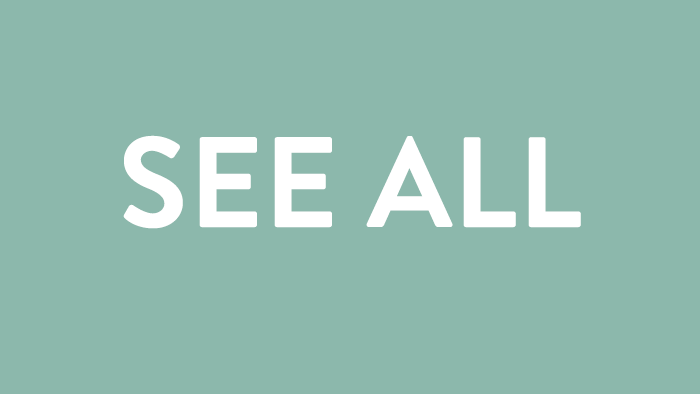 Maybe Jay Inslee would like to say something about that? 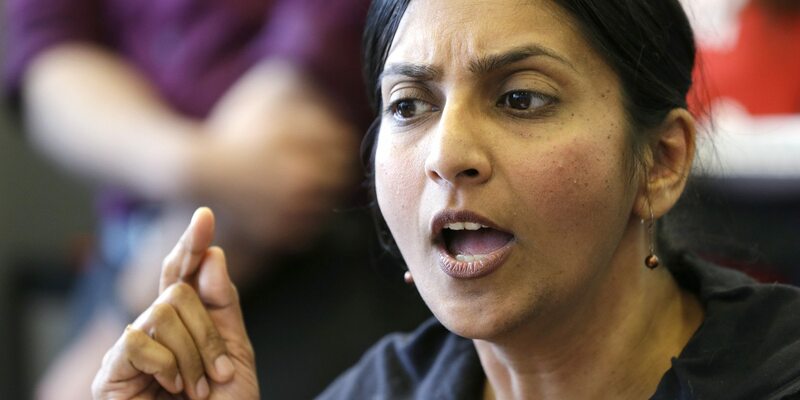 Socialist Seattle City Councilmember Kshama Sawant spurned Amazon’s reciprocated overtures when other councilmembers asked for a “reset” with the company. Sawant instead accused Amazon of “using its monopoly power to gobble up swathes of prime Seattle real estate” and called for the company to be seized and taken into “democratic public ownership.” Sawant’s fantasies make Venezuela seem business-friendly by comparison. Maybe Jay Inslee could “speak up” on this one. Sawant went so far as to host a “Tax Amazon” rally, whipping up the crowd’s resentments at the tech companies driving Seattle’s job growth. She even printed up (at city expense?) signs knocking Amazon. Jay, care to chime in? Seattle keeps pursuing a city income tax, even though it’s illegal, and even though Washington’s lack of an income tax is a big reason Jeff Bezos founded Amazon in Seattle in the first place. Hard to see that as anything but a direct slap in the face. 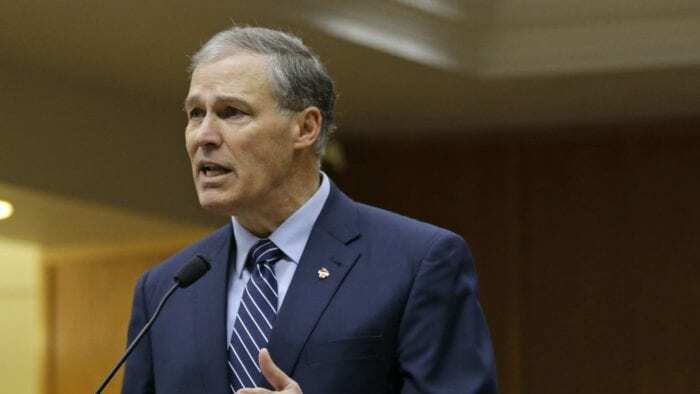 Inslee has said he’s against a state income tax; will he say the same about (illegal) city income taxes? John Burbank, the main architect of Seattle’s (failed and illegal) city income tax, compared Amazon to a “sociopathic roommate” that is “sucking up our resources,” and of news that Amazon would expand elsewhere, said simply “Good.” Burbank isn’t some wild-eyed activist but a member in good standing of the Democratic political establishment (and worked on Seattle’s income tax case with Paul Lawrence, Lawyer to the Democratic Stars). Governor, people like Burbank are from your side of the aisle – if you want to be “brave,” speak up against this kind of local nonsense. Ah but you see, there are no national headlines to be earned for Jay Inslee in doing any of that. But if Inslee really thinks Amazon is “a big part of Washington’s economic success” and values the contribution of its “40,000+ employees in our state,” he’d take on the local enemies who seethe with resentment about the job growth and new wealth that successful companies like Amazon bring to our region. If.